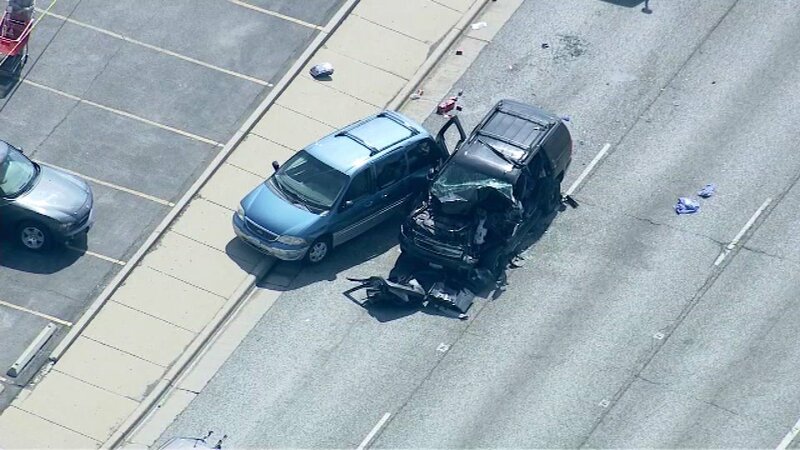 NILES, Ill. (WLS) -- A 55-year-old man died in a five vehicle crash on eastbound Dempster Friday afternoon. Niles police say John Grygorcewicz was pronounced dead at Lutheran General Hospital in Park Ridge due to his injuries. Grygorcewicz was driving a black Chevrolet Tahoe at high speed. Officials say he appeared to be experiencing some type of medical distress. He hit a curb and then rear ended a semi-tracker trailer. He then hit a minivan which was pushed forward causing a chain reaction, hitting two other vehicles. As of 7 p.m., Dempster Street is open after being shut down between Harlem and Oketo. The four other drivers did not report any injuries.